March 22, 2019, Chisinau. The American Chamber of Commerce in Moldova has held the Annual General Member Meeting, where the AmCham President and Board of Directors were elected. Carmina Vicol - Prime Capital. The elected members will serve the organization for the 2019 – 2021 mandate. 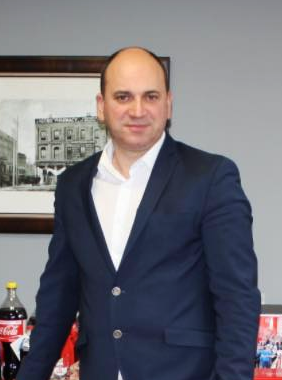 Traian Nechifor, Country Manager of Coca-Cola Hellenic Moldova was elected President of AmCham Moldova: “I will continue together with the executive team and the Board “fighting for our business”, guided by the principles of transparency and integrity”. 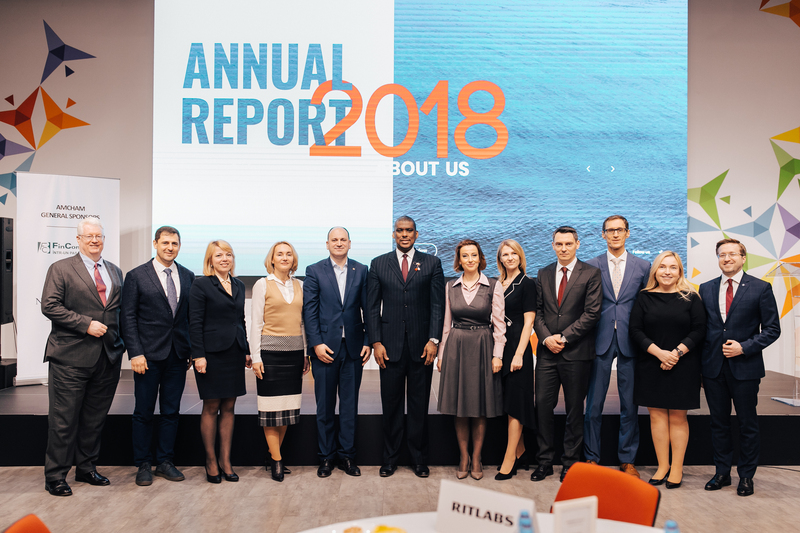 AmCham Moldova also presented the Annual Report for the year 2018 within the General Member Meeting. The report covers the activities of committees, projects and events organized by AmCham, as well as Member Satisfaction results conducted at the end of 2018. AmCham Moldova’s efforts were focused on the main areas of activity in the following fields: taxation, business regulation, trade and manufacturing, labor legislation, environment, financial services, healthcare and others. The American Chamber of Commerce in Moldova is a well-known business association, founded in 2006 by a group of 9 companies, which now gathers over 126 American, international and local companies. These represent 34 industries of the national economy, generating about 31 thousand jobs. The general meeting was attended by 100 members and AmCham guests. AmCham Moldova has been honored by the presence of H.E. Dereck J. Hogan, U.S. Ambassador to Moldova. About AmCham Moldova: The American Chamber of Commerce in Moldova (AmCham Moldova) is a non-governmental non-profit organization comprising 126 members from a diverse spectrum of businesses; from large foreign investors to small enterprises, that operate domestically and abroad. As member of the 125 American Chambers of Commerce network from across the world, AmCham Moldova aims to promote American commerce and investments in Moldova, the cooperation with the Republic of Moldova Government and leaders of business community for the development of a more favorable business climate for commerce and foreign investment in Moldova.